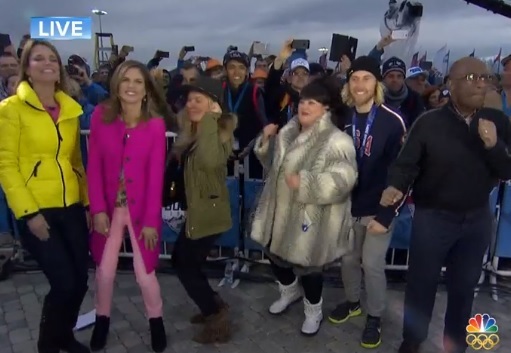 This morning’s Today show reprise of the Russian Ministry of Internal Affairs choir covering Daft Punk’s “Get Lucky” looked and sounded even better than the group’s smash-hit performance during Sochi’s opening night. With the added, sideline benefit of a dancing Al Roker and other NBC show personalities, crew. Separately, Meredith Vieira during an interview with the choir cheekily asked when was the last time the gang, collectively, did justice to Daft Punk’s Grammy-winning mission. “Before Sochi,” answered one of the group members, “because the general says it’s not allowed and that our luck is here in Sochi.” Vladimir Putin no doubt approves.